Whether it's a lazy Saturday or busy weekday, life is always better with your dog. 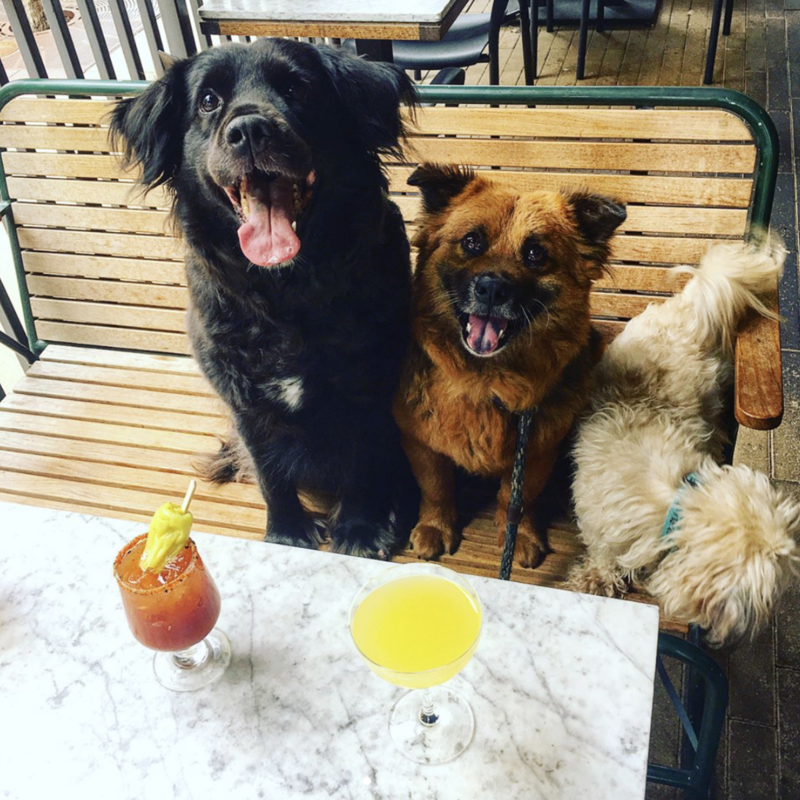 West Village has an abundance of pet-friendly restaurants and shops where your pup can join you on the patio or sometimes even inside. Read on to plan your next outing together. 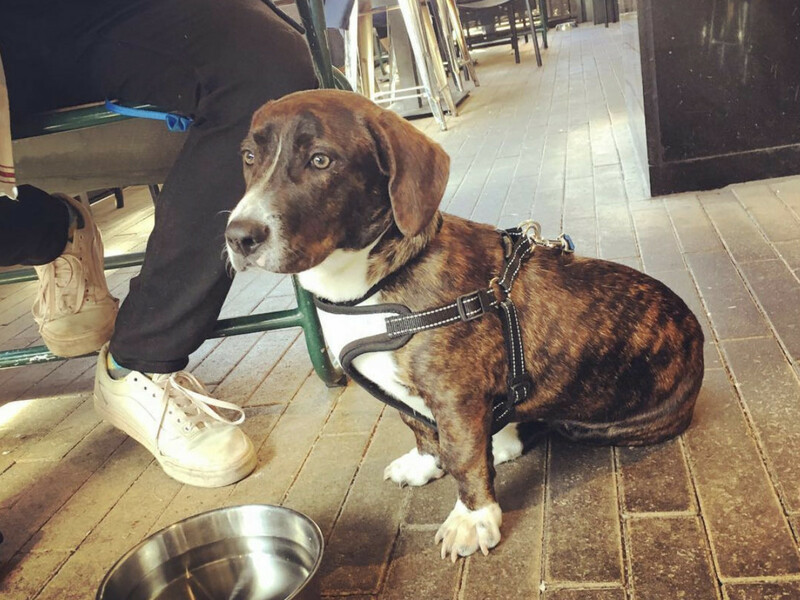 If your pup loves to meet new dogs and people, a patio is the place to park it for an afternoon or evening. 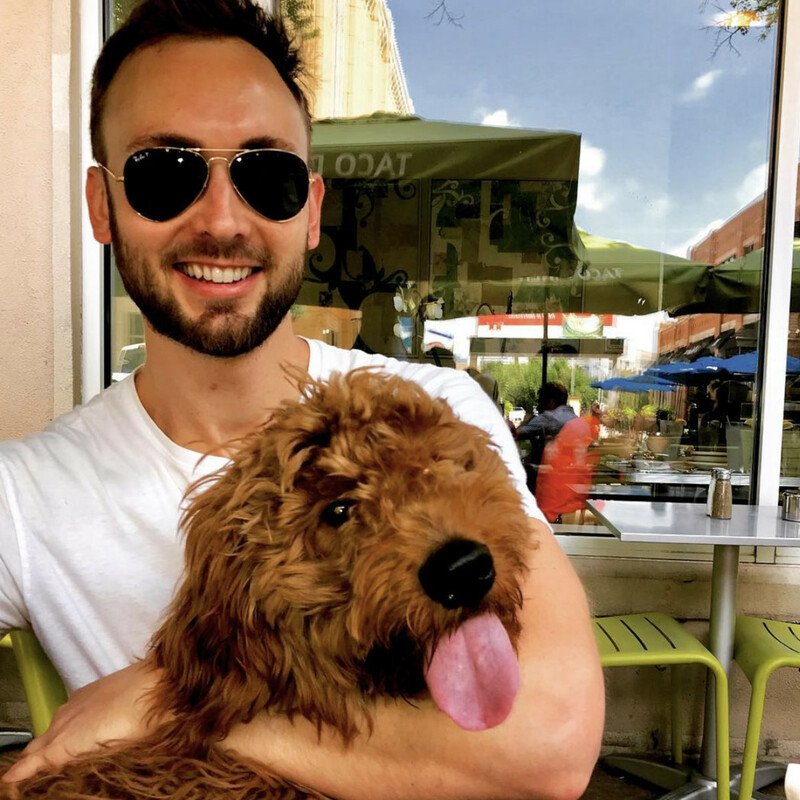 Grab a burger at Village Burger Bar or an iced latte at Starbucks, but keep in mind that some high-traffic areas — especially those near the Katy Trail — are better for socialized dogs who don't get overwhelmed by lots of new people. 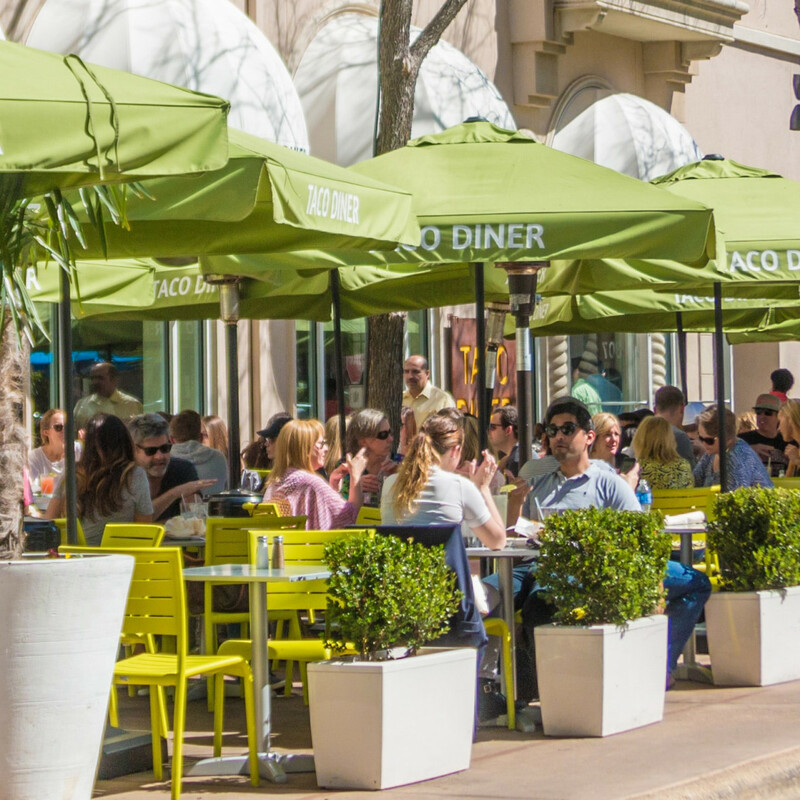 Social butterflies (both human and canine) will feel right at home on the patios of Taco Diner and Mi Cocina, both of which have spacious patios for sipping on a margarita. 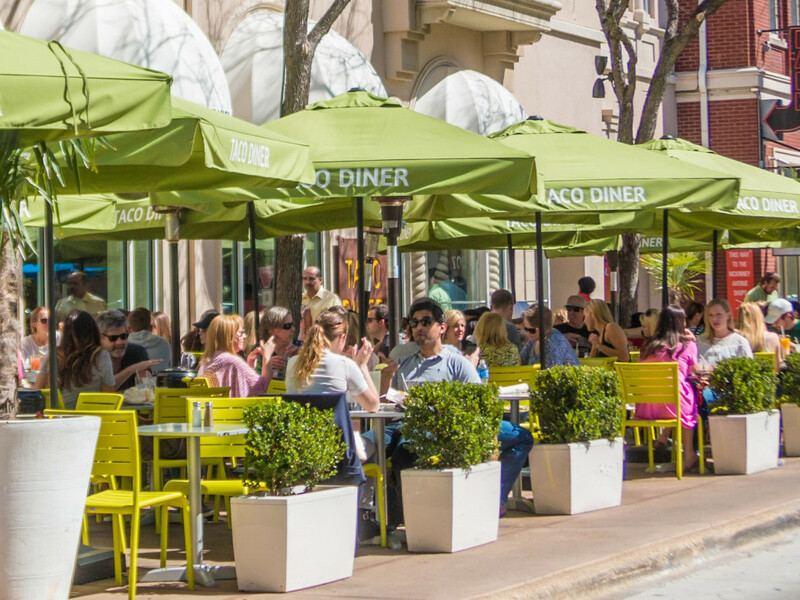 Recently opened next to The Magnolia movie theater, MidiCi is a prime spot to relax outside with a shareable Neapolitan pizza and glass of wine. Speaking of wine, Cru Wine Bar's outdoor space complements enjoying a glass (or a bottle). 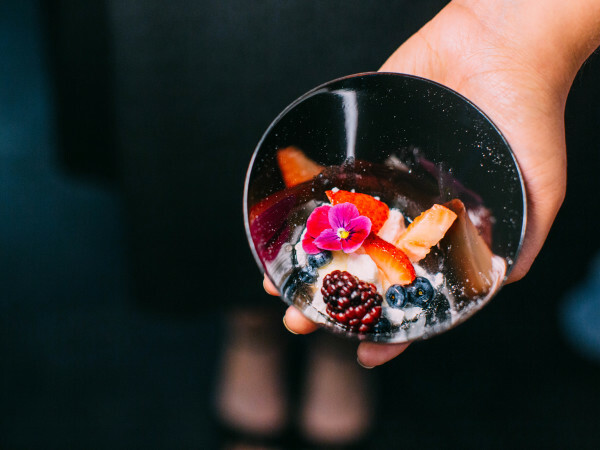 Pok The Raw Bar also has wine, along with ice-cold Sapporo and chilled sake that will help keep the cool as you relax on the patio with your pup. 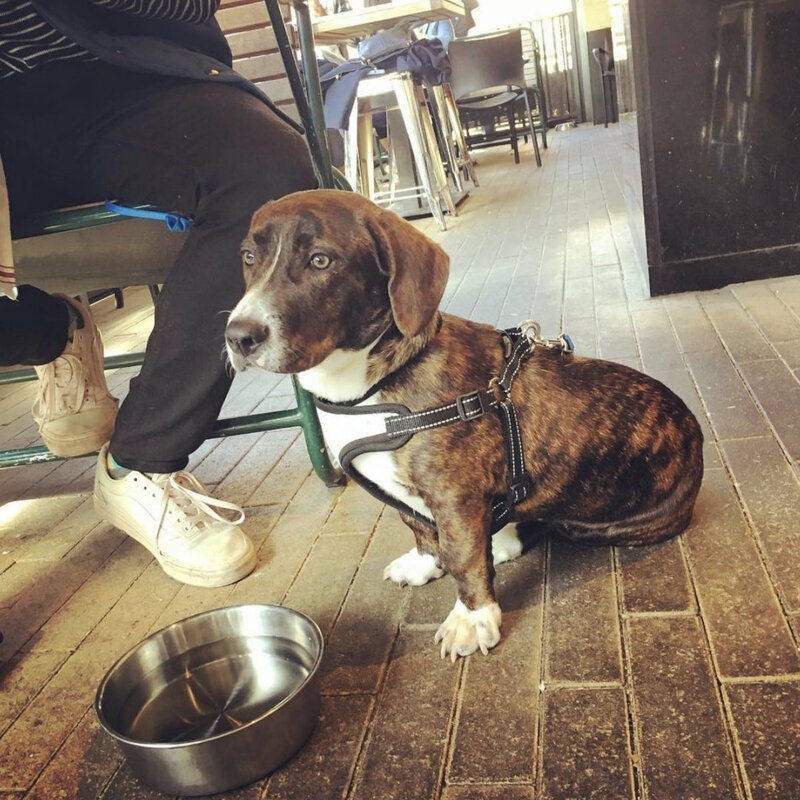 Cross over to the east side of McKinney Avenue to get your brunch on at Public School 214, where water bowls await Fido for when he gets thirsty. Eureka! 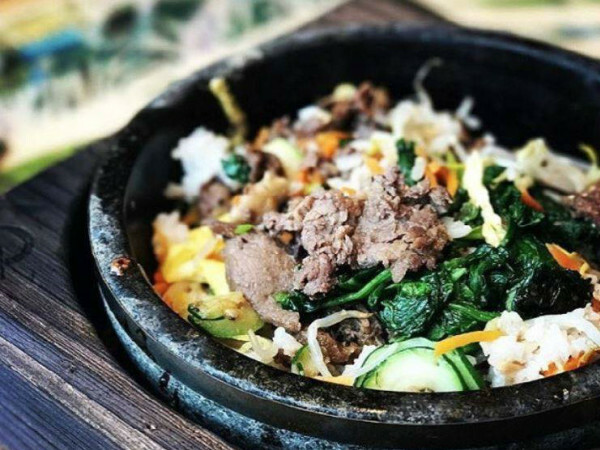 boasts a beautiful patio that's slightly tucked away from the neighborhood's hustle and bustle, as is Mamoun's Falafel. 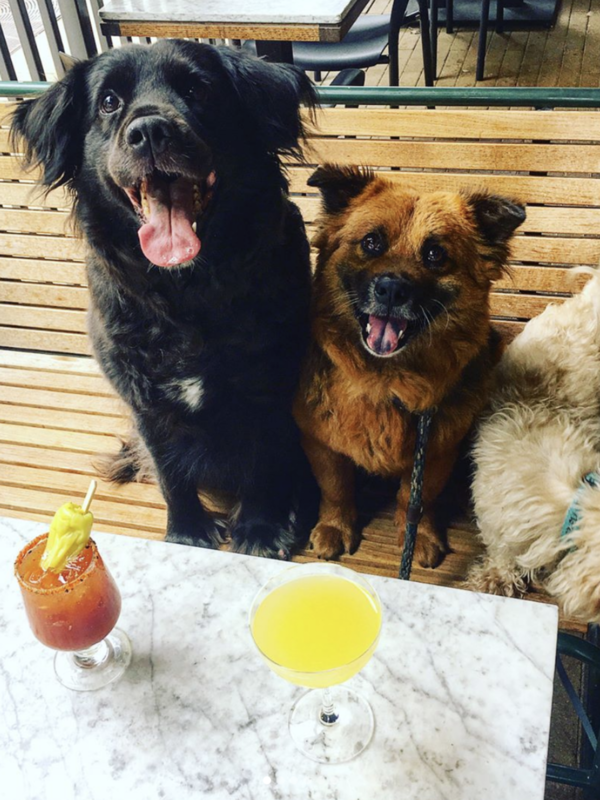 Unwind after the workday (and after your evening walk) with a drink from Cork Wine Bar, where there's a small lounge for dogs out front. Right next door is Grimaldi's Pizzeria, and nearby is the exotically decorated Mediterranean restaurant Baboush. Both spots allow four-legged friends on the patio. Several shops in the neighborhood are super dog-friendly, but a little smaller and probably better suited for a quick, in-and-out visit. Bring Fluffy along when you pick up your morning juice or coffee at Brewed + Pressed; he can get his own morning hydration from the water bowls out front. 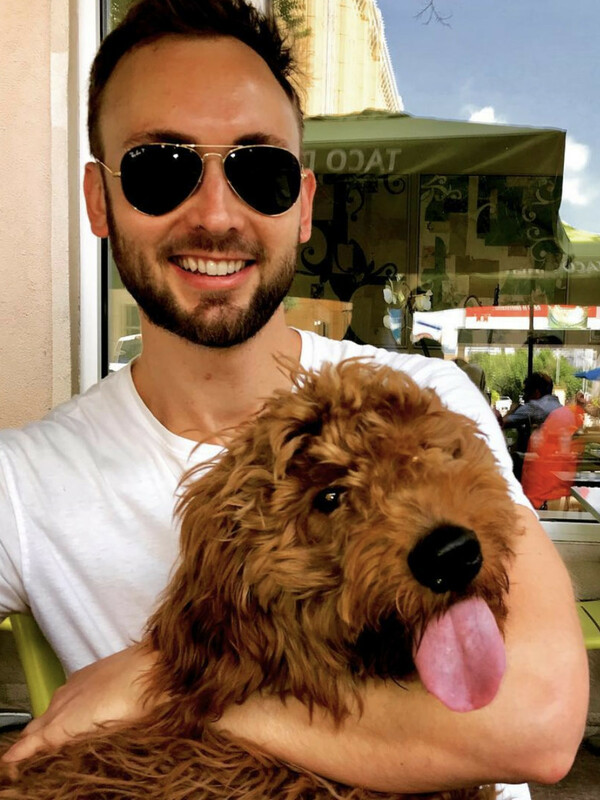 Satisfy your sweet tooth without leaving your pup at home: ingulde in gelato at Paciguo, grab a couple macarons at Bisous Bisous Patisserie, or order a milkshake or decadent dessert creation at Sablon Chocolate Lounge. Don't forget to show your dog how much their accompaniment means to you by stopping in at Three Dog Bakery. The dog-centric shop bakes up its own all-natural treats — including carob and peanut butter celebration cakes — and carries a wide variety of beloved brands.